From the moment they met, Jenna knew Reece would break her heart, but she never dreamed it would happen like this. Jenna is left shattered and broken. When life becomes too painful to deal with and she feels completely alone, there’s only one person to help her pick up the pieces and move on. The one person she doesn’t want to turn to. The one person she promised to stay away from. Tyler. One thing I can say for these books - I NEVER could predict what would happen next. From the blurb of Heart Waves, I expected a novel that was paranormal in nature, but I didn't really get that. There were hints of some paranormal aspects in the storyline, but that was only because the MC, Jenna, had a certain ability, and that was that. By the time I adjusted and decided that this would be a whirlwind love story dealing with normal relationship things, such as the fact that Reece was in college and Jenna was an incoming high school senior, I was once again blindsided. By then, I pretty much decided to stop predicting how the storyline would coast along and just went with what I was reading. And that, my friends, was one of the best decisions I made. Initially, I cringed at how Jenna and Reece's story was seemingly insta-love. They meet at a party, have an instant connection, and next thing you know, Jenna can't even imagine what her life would be like without seeing Reece again. This, however, is not your ordinary 'Ohmygod we locked eyes and now we're in love!' that is so common in YA novels nowadays. I do believe that the reason why Jenna was so attracted to Reece and vice versa was because of the prediction Jenna made while holding Reece's ring - of course they wouldn't be able to get each other out of their heads! Add in the fact that this story is set in summer. Also, think about the prediction Jenna made - "It's like we're Romeo and Juliet. You'll break my heart." Like Romeo and Juliet, everything happens fast for the two of them, and Jenna has to conquer her fear of her dire prophecy coming true. I can't deny the love Reece and Jenna have for each other. It's there, it's obviously there, and I really can't blame them for trying to see where their relationship would go. At the beginning, their relationship was like any other - they met each other's parents; Reece had to work hard to get Jenna's parents to like him, and etc. ; but things take a turn for the worse when Tyler, the guy who used to be Reece's best friend, showed up in the story. Tyler then hints there is more to Reece that we do not know. Suddenly, Reece began to act unlike himself - he ordered Jenna to never talk to Tyler, and his apparent extreme hatred of Tyler started to scare Jenna. At this point, I myself was also starting to get wary of Reece - the change in character was unnerving, and was clearly a sign of things taking a darker twist in the future. While Reece's love for Jenna never wavered, it was obvious to me that some things from Reece's past were in the brink of exploding, and his relationship with Jenna would be the first to be affected. Ahh sounds like the perfect blend of romance and magic—my kind of read! Your review makes me want to try the series all the more. Thanks for hosting for the tour! 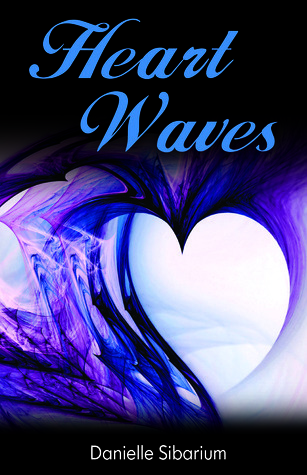 Thank you so much for Being part of the Breaking Waves Blog Tour!